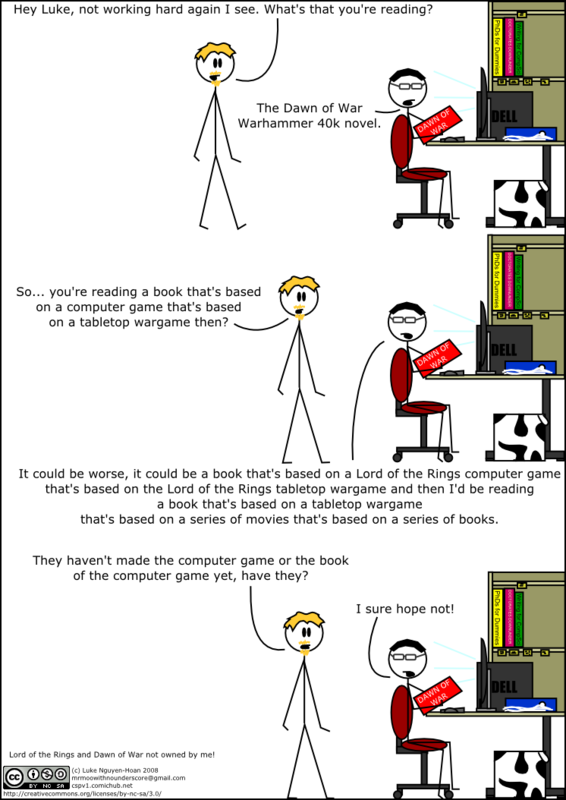 No, to the best of my knowledge they haven't produced a computer game based on the tabletop wargame based on the series of movies that's based on the series of books, OR a book based on a computer game based on the tabletop wargame based on the series of movies that's based on the series of books for Lord of the Rings yet. The book of the computer game of the tabletop wargame Warhammer 40k is bad enough! Anyway, I'm only playing the computer game of the tabletop wargame at the moment, and it'll probably hold my attention for about a weekend or so, I'm predicting.